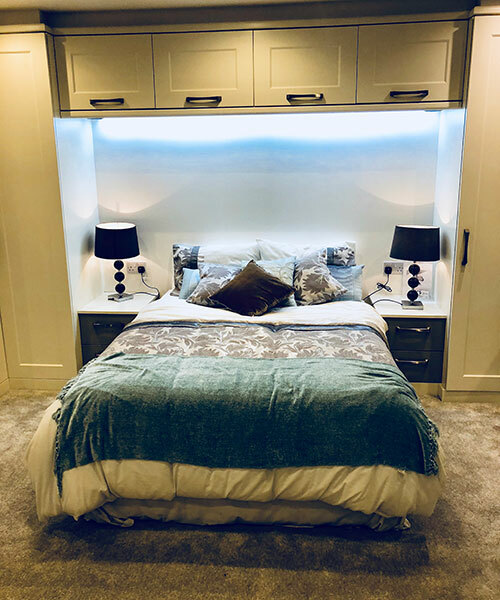 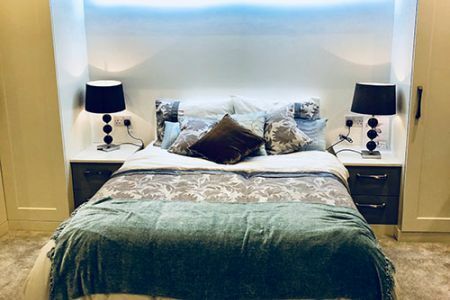 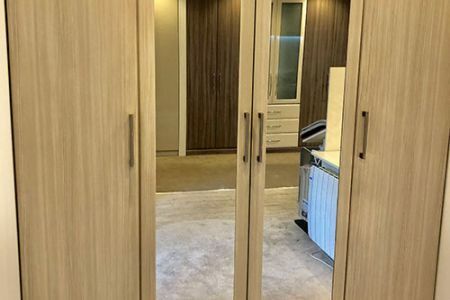 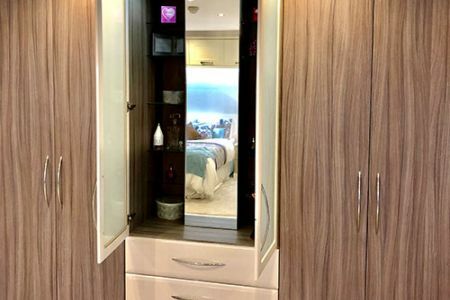 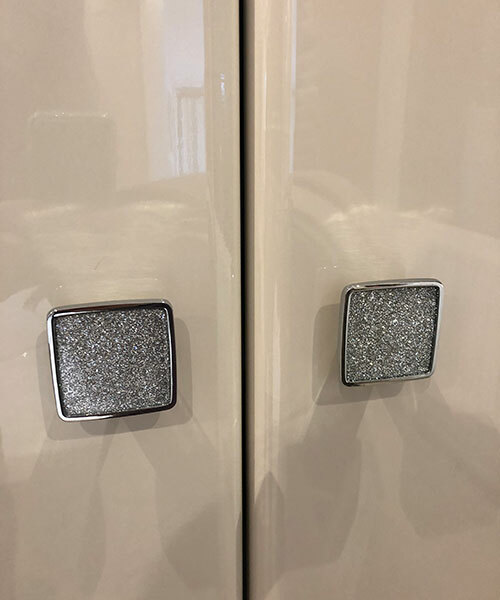 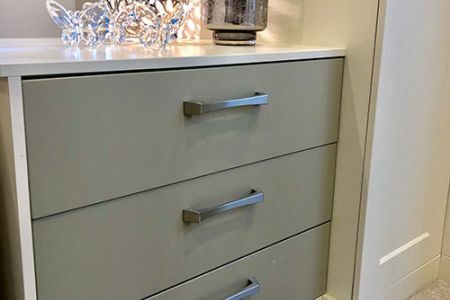 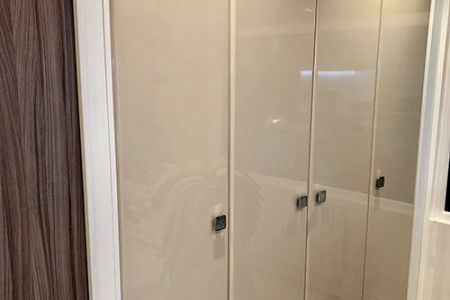 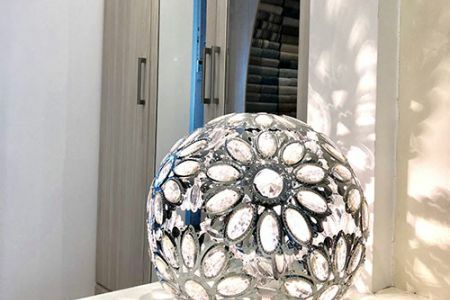 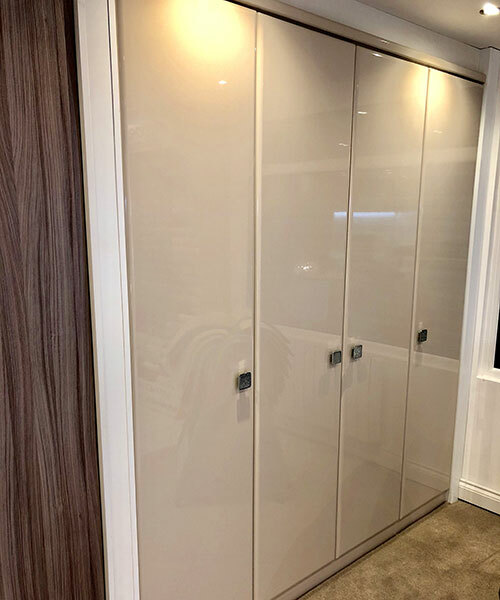 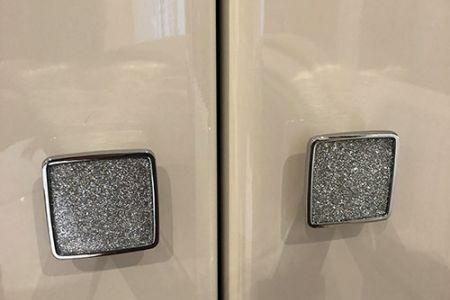 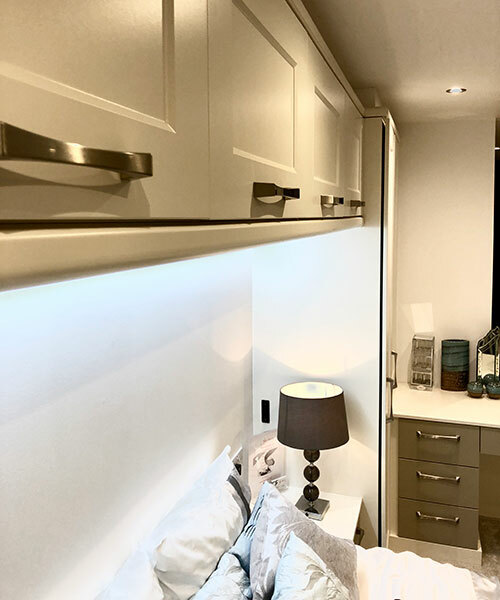 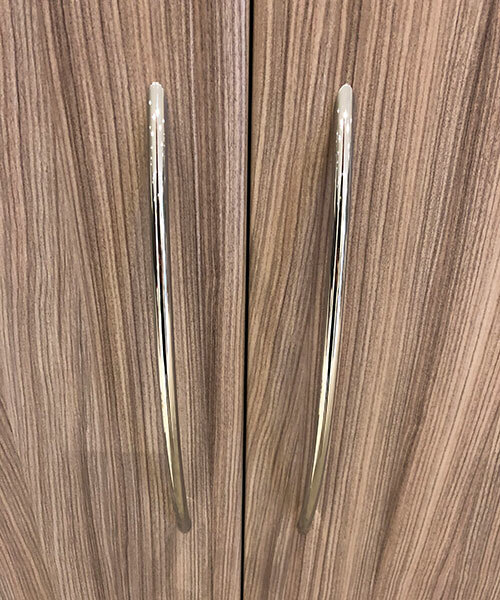 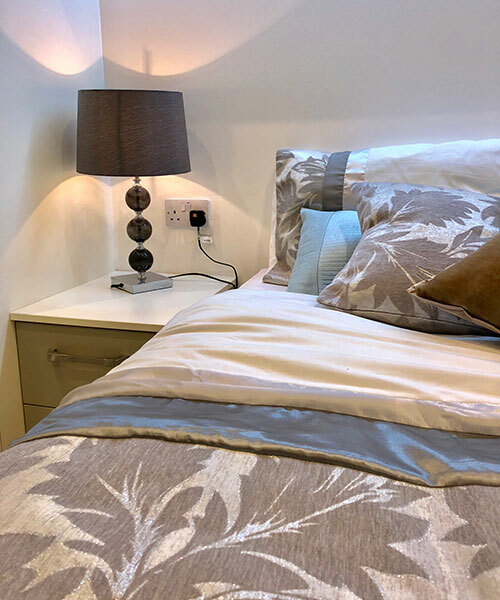 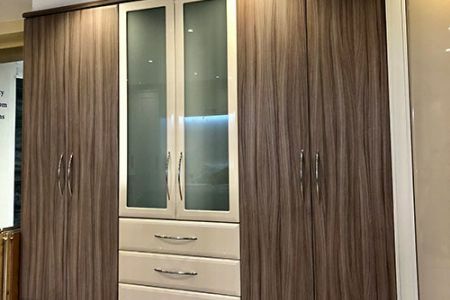 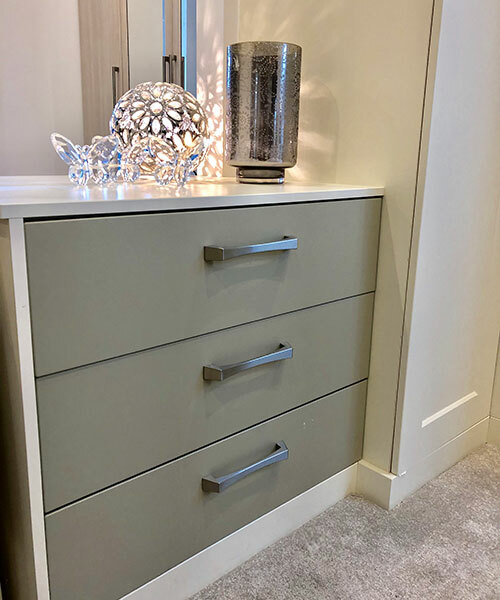 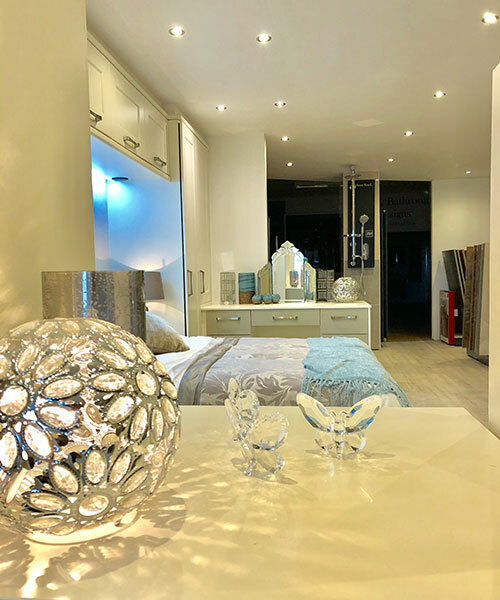 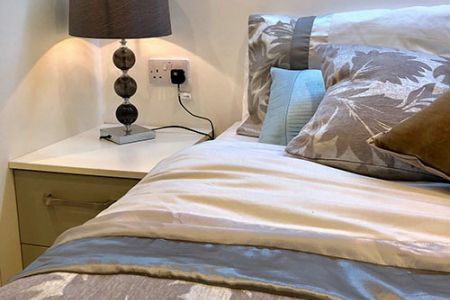 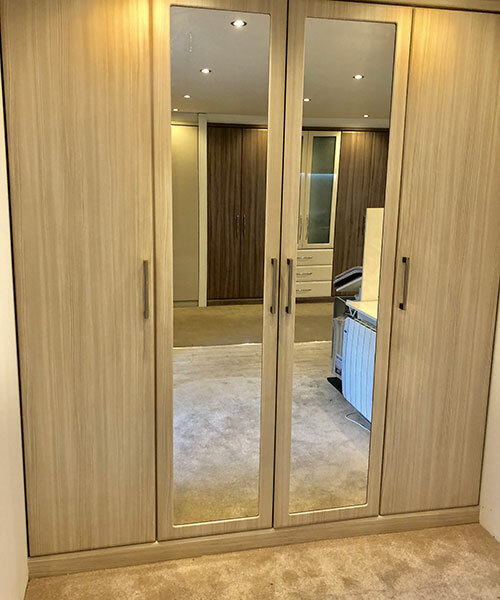 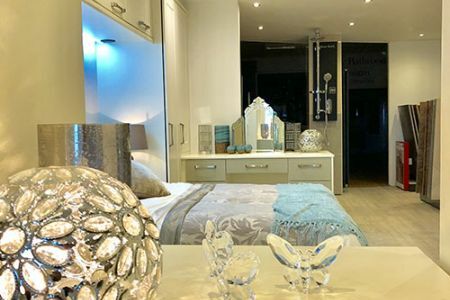 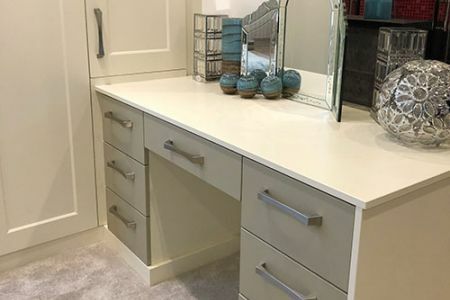 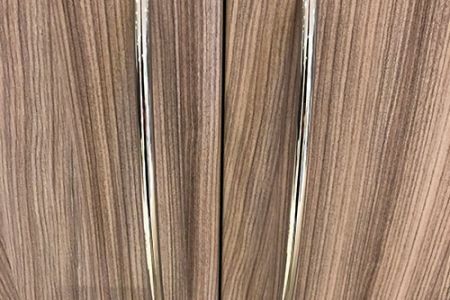 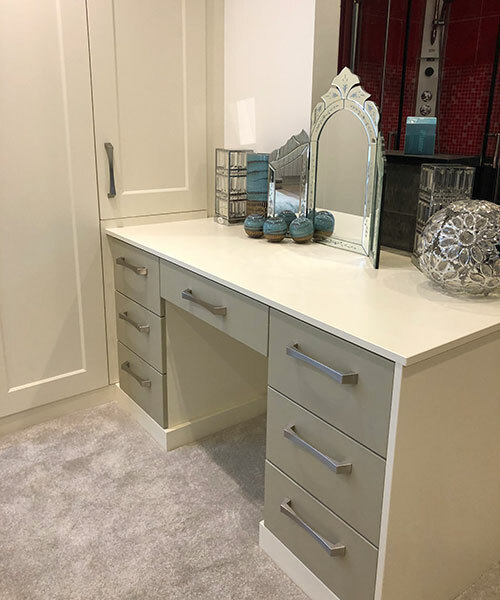 We have a wide range fully bespoke beautiful bedroom styles and colours to suit your room and tastes whether you’re looking for something traditional, contemporary or modern. 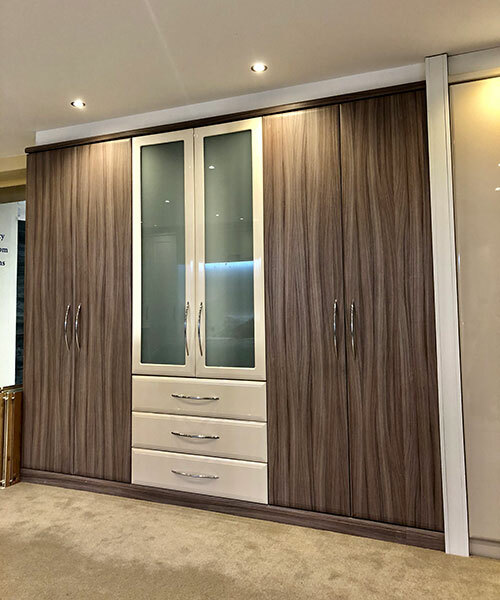 We take great pride in our bedrooms from design to installation. 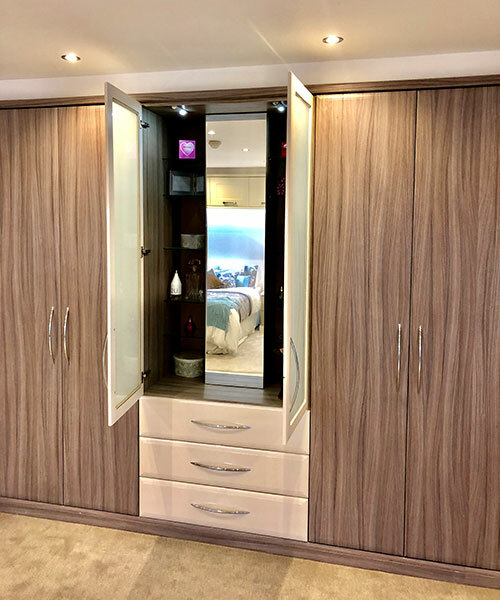 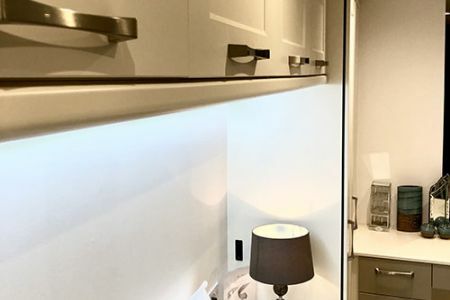 Every bedroom will be tailored to any space to suit your needs. 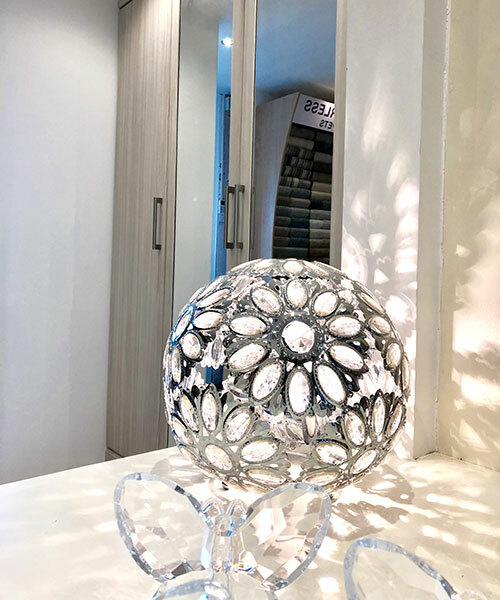 Come and visit our showroom to see our full displays.